Select the right service for resetting yours! 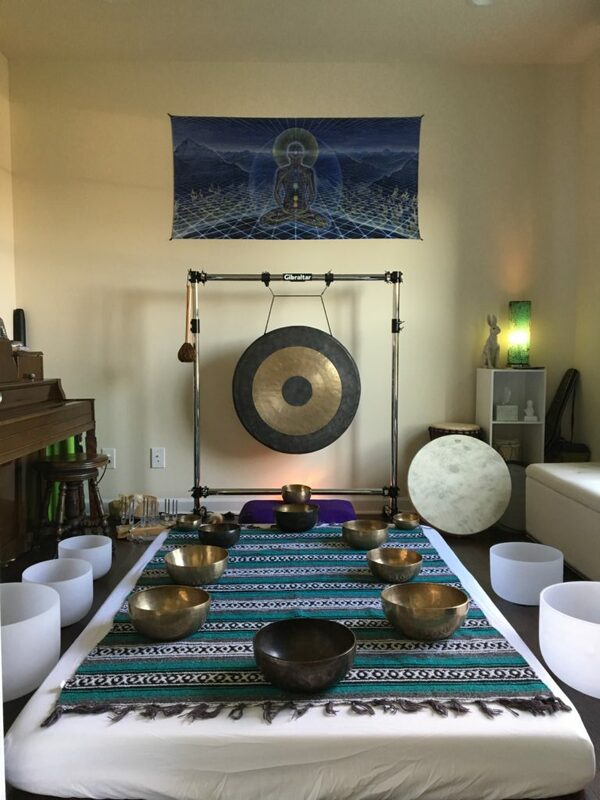 Sound Therapy is an ancient practice based on the idea that any illness or imbalance of the body can be treated by applying certain sound frequencies. Almost any instrument can be used, but some tend to be more effective than others. The sounds and vibrations are processed through the eardrum and then travel along the vagus nerve to nearly every part of the body. In addition, our skin is able to pick up and transmit vibrations, relaxing our cells back into alignment. Everything is vibration, even down to the smallest atom, so it is important we stay in harmony for a healthy body and mind. Read more about our specific services below. There’s still a bit of mystery surrounding the history of Tibetan Singing Bowls. They were only discovered and made popular by westerners within the last century, but are believed to have been used in Asia since the Bronze Age. Although the bowls are often referred to as “Tibetan”, some believe they were first brought from India, along with the teachings of Buddha. They are also called Himalayan Bowls. When Tibetans were asked about the bowls, they claimed the bowls were used for eating or for begging. However, there is evidence the bowls have been used in monasteries and temples. There is also a theory this was kept secret since the bowls may have been tied to shamanistic rituals. 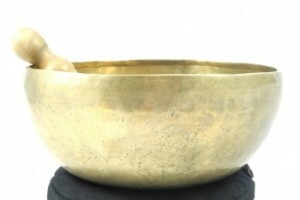 The bowls were traditionally hand hammered from at least seven metals (gold, silver, mercury, copper, iron, tin, and lead), but the more modern bowls are mostly made of bronze (copper and tin). The bowls can be played by striking them like a bell with a wooden or felt mallet. The “singing” sound is made by slowly moving the mallet along the outside rim of the bowl. 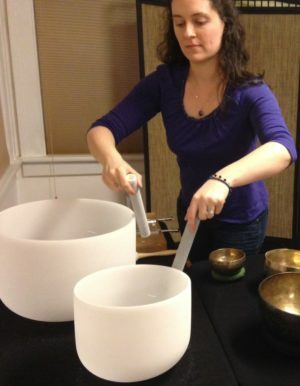 The metal singing bowls do not have a single pure tone, but actually create a chord with overtones. The overtones create a binaural beat, which has been proven to balance the brain hemispheres and alter our brain waves from Beta to Alpha. This effectively puts the listener in an immediate meditative state of mind. Studies are now showing that meditation can allow the body and mind to heal itself. In addition to the healing effects of the sounds, the physical vibrations of the bowls work on a cellular level to rebalance the body. Since we are made mostly of water, the sound waves move through the body just as ripples from a dropped stone move through water in a lake. Some say it feels like an internal massage. 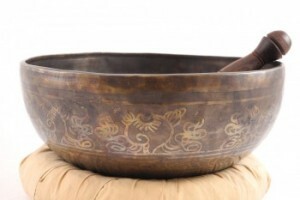 When you receive a Tibetan Singing Bowl session, the bowls are placed on or around you and played in various sequences to soften the fascia (or connective tissue), where scar tissue or physical and emotional trauma can be stored. The vibrations of the bowls work to change the patterns of your cells back to a harmonious state. The sounds cocoon your body and mind in a peaceful state of meditation, allowing your body the rest it needs to heal itself. This therapy can be used to reduce stress and pain, improve concentration, reduce blood pressure, improve immunity, improve sleep, balance the chakras, heighten intuition, synchronize the brain hemispheres, enhance creativity, and remove mental and emotional negativity. Crystal singing bowls are made from crushed quartz crystal that is super-heated in a centrifugal mold. They can be clear, frosted, or infused with other gemstones, and come in various sizes. Unlike the Tibetan bowls, crystal bowls will produce a pure, ethereal tone. The vibrations from these bowls are very powerful and made even more potent by the amplifying nature of quartz. Since our bodies are composed of many crystalline structures, we naturally resonate with the crystal bowls, matching their frequencies for healing and relaxation. During your Sound Therapy session, the crystal bowls may be played around you to clear your energy field and facilitate a deep, meditative state. 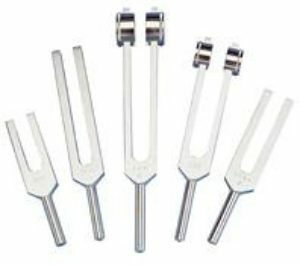 The Tuning Forks we use for therapy are specially made to re-tune the nervous system and harmonize the human body. Dr. John Beaulieu (founder of BioSonic Enterprises) has done extensive research in the field of sound and vibrational healing. His background in music, along with his practice as a mental health professional, spurred him to spend approximately 500 hours inside an anechoic chamber over the course of two years. The anechoic chamber, which deprives you of all outside sound, allowed him to focus on the sounds of the human body – the high pitched hum of the nervous system and the lower pitch of the circulatory system. During his experiments, he discovered the pitch of the nervous system changes depending on how we feel. This led him to develop the tuning forks, which are matched to the frequencies of the human body (and the Schumann Resonance*) rather than those of the current Western music scale. He discovered he could bring his body back into a relaxed, healthy state just by using the tuning forks and he also applied this knowledge with his patients. He discovered that our bodies function best when they are in harmony with the Golden Ratio (Phi). The Golden Ratio is found in almost everything in nature, including the human body. Mathematically, it is a ⅔ ratio and is expressed as a Perfect Fifth in music. By playing forks that create a Perfect Fifth, the nervous system can be tuned like an instrument. *The Schumann Resonance, discovered by W. O. Schumann in 1957, is the calculation of the resonance frequencies of Earth between its crust and ionosphere. The frequency lies between 7.7-8 cps (cycles per second). Beaulieu’s tuning forks are all based on an 8 cps fundamental. Dr. Beaulieu then went on to create a weighted tuning fork (Otto Tuner) that vibrates a Perfect Fifth pulse, or the “difference tone” of the Perfect Fifth, and was able to use it in laboratory experiments on epithelial tissue samples. He and his colleagues measured the output of Nitric Oxide (NO) from the cells when the tuning fork was played on them. The moment the vibrations from the Otto tuning fork touched the tissue sample, the cells released NO. This happened every single time. Extensive research has been done over the past few decades on NO and its function in our body. It is essential to the health of our entire system. NO is made by our cells and rhythmically released into the surrounding tissues as a gas. It is antibacterial, antiviral and helps destroy free radicals in our body. It keeps the lining of our arteries and vessels pliable and clear, which allows our blood and immune cells to move freely in order to keep us healthy. As we become stressed, the rhythmic cycle of NO can shut down. When there is an absence of NO in someone’s system, it is a precursor to many major health problems, including cardiovascular disease, diabetes, depression and cancer. By using the tuning forks, we can remind the body to continue producing Nitric Oxide, enabling it to continue healing itself. 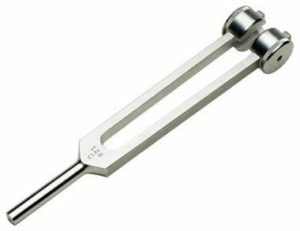 During a Tuning Fork session, the forks will be played on and around you to tune your body back to its optimal frequency. The Otto Tuner resonates the bones, stimulates the nerves, and releases tension from the body, so it can be applied directly to the muscles, joints, and surrounding tissue to ease specific areas of pain. Often, clients find relief as soon as the tuning fork is applied. The forks can also be used on reflexology, trigger, and acupressure points to address deeper muscle or nerve issues. Various intervals may be played at the end of your session, creating a sound shower that will help you feel relaxed and refreshed. This therapy can be used for general well-being, to reduce stress, sinus inflammation and allergies, arthritis pain, muscle tension, improve immunity, improve sleep, and much more. The human voice may be the most powerful healing tool available to us. Singing is one of the most ancient practices for releasing emotions and connecting with our inner harmony. The ability to imbibe our singing and toning with positive intention is part of the reason our voices are able to heal us in ways no other instrument can. During your Sound Therapy session, voice may be used to help release stuck emotions and soothe the body-mind connection. Reiki is the spiritually guided life energy that flows through all things. The word Reiki comes from the combination of the Japanese words Rei (Spiritual Wisdom) and Ki (Life Energy). The Life Energy, Ki, is all around us and can be guided by the mind. All healers use Ki, but Reiki is a special kind of Ki that is guided by spiritual consciousness and can only be channeled by someone who has been attuned to it. Although Reiki is spiritual in nature, it is not specific to any religion or belief. It can do no harm and everyone can benefit from it. In order to be healthy and happy, our Ki must flow freely throughout our physical and spiritual bodies. If our Ki becomes slow or blocked, it can result in illness. Reiki finds and directs positive energy wherever it is needed, raising the vibrations of the subject and releasing the blockages of Ki. It is a powerful and gentle healing tool. When you come in for your appointment, the Reiki practitioner will discuss your needs and ask for your desired outcome from the session. Reiki can be performed hands-on or hands-off. You may tell the practitioner if you would prefer not to be touched. During a typical Reiki session you will lie face up on a massage table. You should wear loose, comfortable clothing. You may quietly set your intention for the session while the Reiki practitioner makes preparations around the room. The practitioner will place her hands just above the body and/or lightly on the body, beginning at the head and moving all the way to the feet, remaining in each position for several minutes. You may feel warmth, tingling, easing of tension, or an emotional release. You may feel nothing at all. The Reiki should work regardless of what you experience. During the session, you may find yourself drifting off to sleep, which is perfectly acceptable. You should be comfortable and relaxed throughout. At the end of the session, the practitioner will gently touch your shoulder and let you know it’s over. She will leave the room and allow you to come back to full consciousness in your own time. The Reiki should continue to work for you even after the session is over. Reiki may be used for just about anything because it can bring balance to your system, causing symptoms to diminish and disappear. Some of the symptoms and illnesses it has been used to treat are headaches, colds, fatigue, insomnia, cancer (and side effects from cancer treatment), depression, digestive issues, tension, and stress. It has even been used in hospitals before, during, and after surgery to relieve pre-operative stress and aid in post-operative healing. Appointments are generally available Fridays, 2-6 p.m., and Saturdays, 10 a.m.- 4 p.m. Other times may be available by request. If you are interested in scheduling a sound therapy appointment with BreAnna at her home studio in Christiansburg or would like to discuss sessions in your home or other venue, please contact her directly.